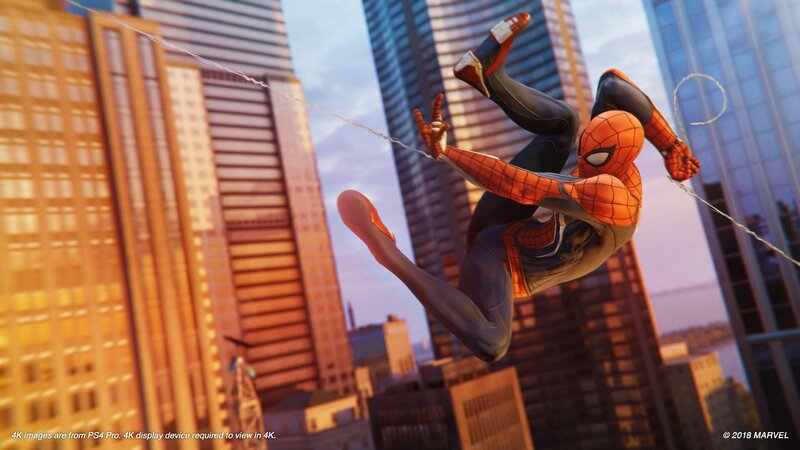 It’s no stretch to say that everyone is loving Insomniac Games’ new open-world superhero sim Spider-Man. Insomniac has spared no expense in bringing to life a living, breathing city for gamers to enjoy. Not only is it a high-fidelity facsimile of Manhattan, as it exists in the Marvel Universe, but it is also populated with enough collectibles to find, Easter Eggs to uncover and criminals to tie up to keep gamers playing into the wee hours of the night. The final step is providing a mechanism to traverse the labyrinthine concrete jungle of Manhattan, and that is where Spider-Man shines the brightest. The secret sauce for making a player want to explore your open-world is to give them a way to traverse the world that does not feel like a chore. Spider-Man is the perfect example of providing a fun, intuitive and powerful means to explore the city. I can not overstate how good the web-swinging feels in Spider-Man. Sure you can watch videos and read reviews but it belongs to a very special class of game mechanics that require you to actually PLAY it and experience it to realize how good it FEELS. And that right there is the method behind the magic. Not only does the stellar animations give the look that Spidey has leaped off the pages of a comic book, but the unique control scheme gives the player one-to-one relationship between the buttons they are pressing and what they are seeing on-screen. Briefly, the X button lets players leap up into the air while holding R2 down causes Spidey to shoot out a web to a nearby fixture, and releasing R2 results in him releasing the web and flying through the air. The pressing and releasing of R2, directly correlating with Spidey shooting and releasing his webs, empowers the player to not only play as Spider-Man but to become Spider-Man. This unique control scheme lends to the overall immersion of the game and is the reason why its such a blast to play. 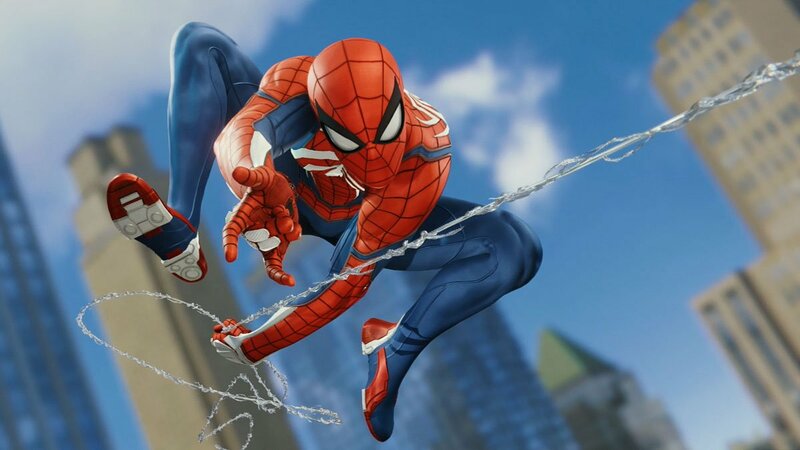 Instead of simply holding down R2 to swing through the city, for example, Insomniac made the conscious design choice to let the web-swinging be more involved. And letting players mimic Spidey’s own actions certainly paid off for the immersion fact. It is a similar idea to how playing Guitar Hero can make you feel like a rockstar, or Dance Dance Revolution can make you feel like a master dancer. The Controls can be seen as an interface for the player’s intent to translate into actual gameplay. Letting the player easily transition from swinging to running on the wall, to launching off ledges offers the player a sense of self-actualization that is rare to find in games. Three players can cover the same distance but all three will cover that space in three different ways that are each uniquely their own. And that is the true beauty of Spider-Man’s open-world playground. The power of Spider-Man’s traversal mechanics is stratified when you look at other ways players have been able to explore their open-world game space. Assassin’s Creed: Origin has an absolutely beautiful and well-realized game world. 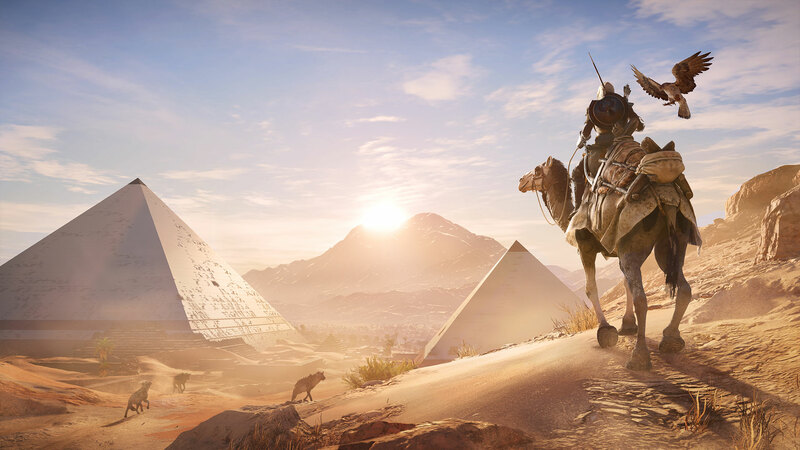 Exploring a stunningly well detailed Ancient Egypt, an era underutilized in media in my opinion, the world of AC: Origins is begging the player to unearth every secret dormant in the burning sands. However, traveling through this land was never something I looked forward to when I was playing AC: Origins. Sure the game gives you this gigantic, beautiful world to play around in but it always felt like chore riding my mount from the ports of Alexandria to the Pyramids of Giza. The game even foresees the monotony of its traversal by giving the player the option to press a button to automatically steer your steed to its destination. Conversely, there are other examples of games which use a unique control scheme to benefit player engagement. 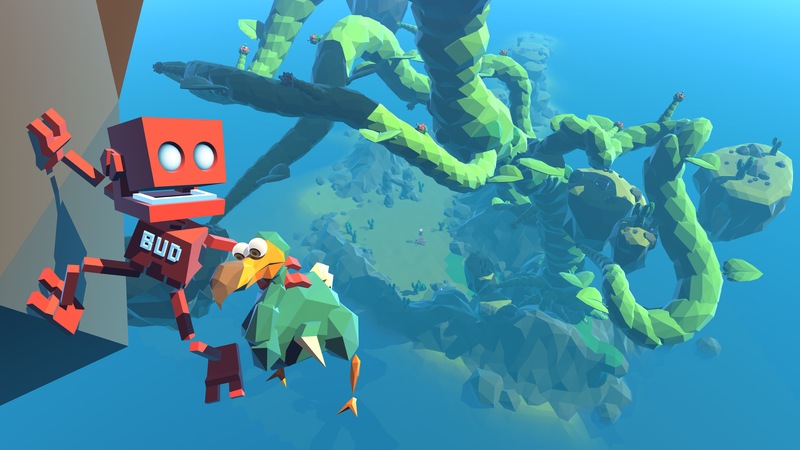 Grow Home was a cute, adventure/platforming game released in 2015 by Ubisoft Reflections. Featured heavily in Grow Home, is the ability to climb things. Instead of climbing objects merely by pressing your left thumbstick forward or by holding down a button, Grow Home goes for a one-to-one control scheme not too dissimilar from what Spider-Man seeks to do with its web-swinging. The pressing and releasing the left and right triggers correspond to the character gripping and releasing his left and right hands, respectively. Like a child learning to walk, the initial learning curve of learning how to climb with this unorthodox scheme gives way to a sense of satisfaction when you finally master it. And after all is said and done, the virtual playground of Manhattan isn’t even a perfect open-world. Even though there is a litany of collectibles to collect, New York landmarks to snap and enough Easter Eggs to make any Marvel fan blush; at times Spider-Man’s Manhattan can feel like a hollow facade and not an actual lived-in city. 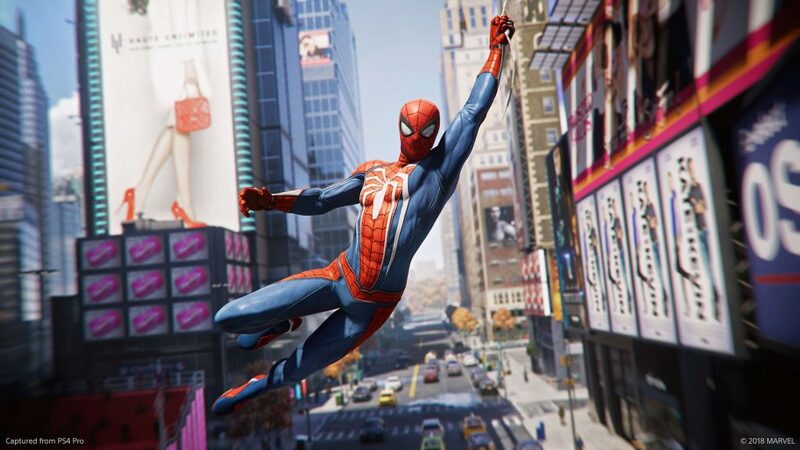 Despite that, Spider-Man’s ingenious swinging mechanics makes the player want to explore the city and find all its secrets, not out completing an arbitrary checklist, but because it is a joy to navigate the city and players will find themselves looking for excuses to swing around. It just goes to show, in an open-world game, how you get around is just as important as the world you are in.